The Forecast Report helps you keep track of the progress and profitability of your projects. It summarizes your Expenses, Labour Costs, and Overheads in one page and computes for your project’s Net Margin automatically. 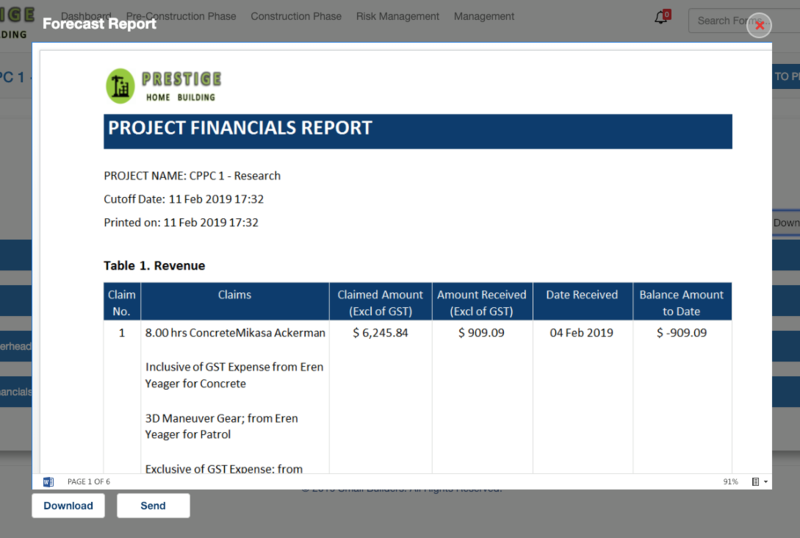 The Microsoft Word or Downloadable file of the Forecast Report includes your project’s Revenue hence giving you a more complete report of your project’s overall status. 1. 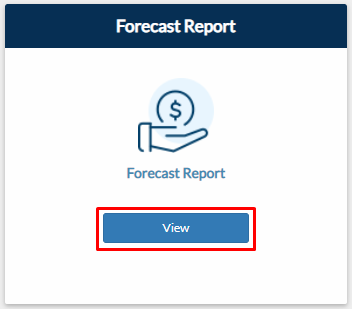 If you are on the forecast report outside your project, you must first choose a project then click View Record. 2. If you are inside your project, go to the Management tab then click View button on the Forecast Report tile. 3. Click the Download Report button to view the MS Word file. 4. A modal will be displayed showing the preview of the document. 5. 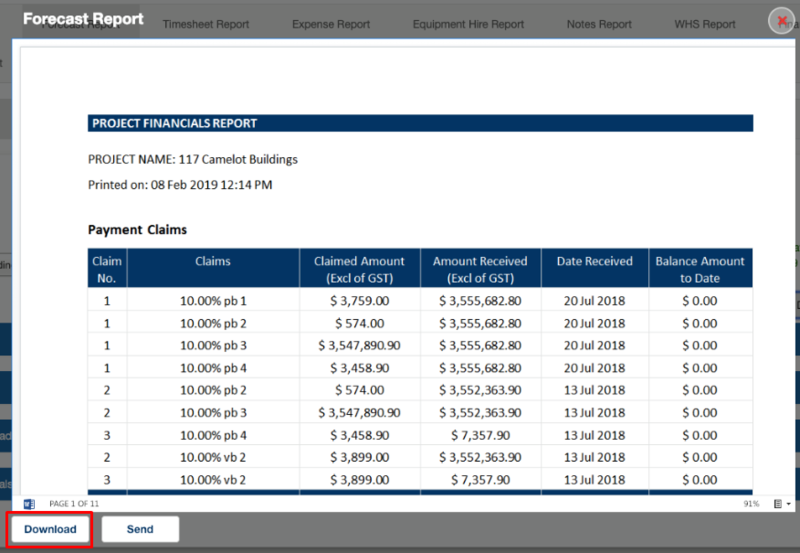 The Payment Claims table displays your Revenue. 6. The Expenses table displays your Paid and Reconciled Expenses from Expense Submissions. 7. The Labour table displays all your Employees' Labour Costs from Timesheet Submissions. 8. The Project Overheads table displays your overheads from the Forecast Report. 9. 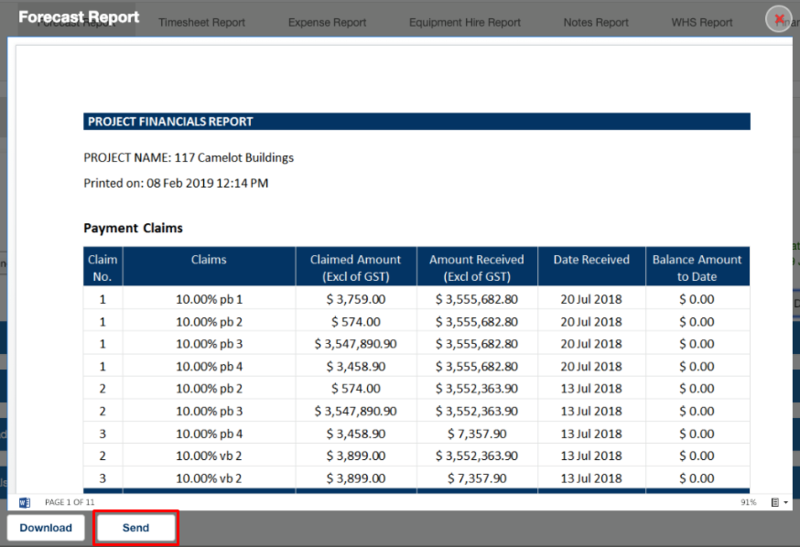 The Summary table summarizes your Expenses, Labour Costs, and Overheads and displays your Net Margin. 10. Click the Download button inside the modal to save the report to your computer/device. 11. Click the Send button if you want to send the report outside of Small Builders. 12. Input your recipient’s email address on the prompt.